If you are looking for Switch Utilities Power deals, the range of Switch Utilities Power plans or some Switch Utilities Power reviews then you have come to the right place. Power Compare is a free, fast and simple to use website that lets you compare Switch Utilities Power and all other New Zealand power companies to find the best power plan for you. 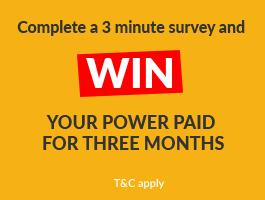 Here at Power Compare, we let consumers and businesses leave their power reviews of all the energy providers in NZ including Switch Utilities Power. You can read Switch Utilities Power reviews on the Power Compare website or if you are a Switch Utilities Power customer why not leave your feedback and tell us what you think about Switch Utilities Power in your own Switch Utilities Power review. If you do leave a Switch Utilities Power review of your own, please make it helpful for others. Write brief details on your experience with Switch Utilities Power, any Switch Utilities Power problems you may have had and also any useful information on things like Switch Utilities Power service and Switch Utilities Power customer support, as we seek to create the ultimate resource for power users in NZ to find power reviews, check NZ power deals and compare power plans for Switch Utilities Power and the many other power providers in NZ. Click here to see all the available Switch Utilities Power plans. Click here to read or leave a Switch Utilities Power review. If you are looking to compare Switch Utilities Power plans with other NZ power plans click here.